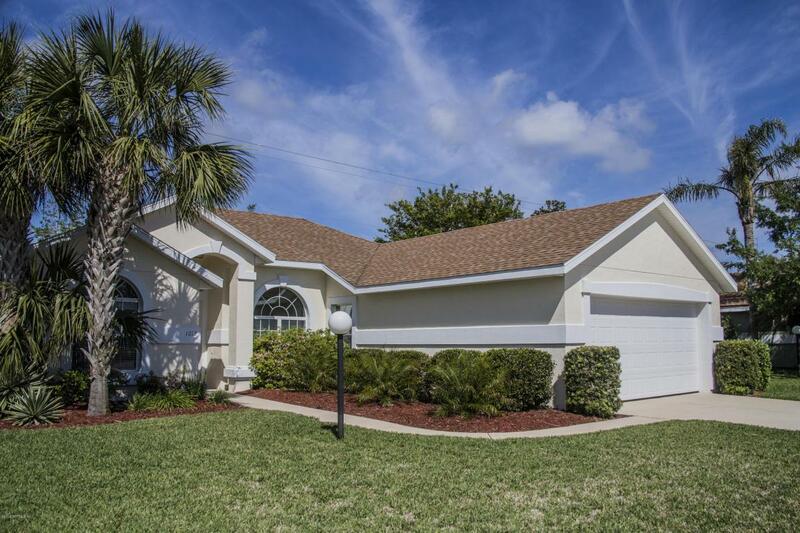 Beach lovers would be very happy to live in this 3 bedroom 2 bath home within walking distance to the beach and pier. 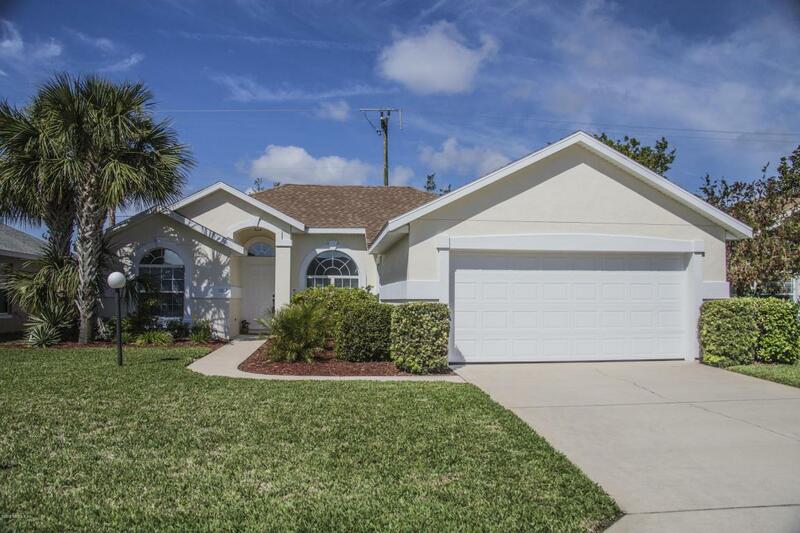 This beautifully landscaped concrete block home is move-in ready.NEW ROOF BEING INSTALLED 5/18. Recently updated A/C and appliances. Freshly painted exterior. 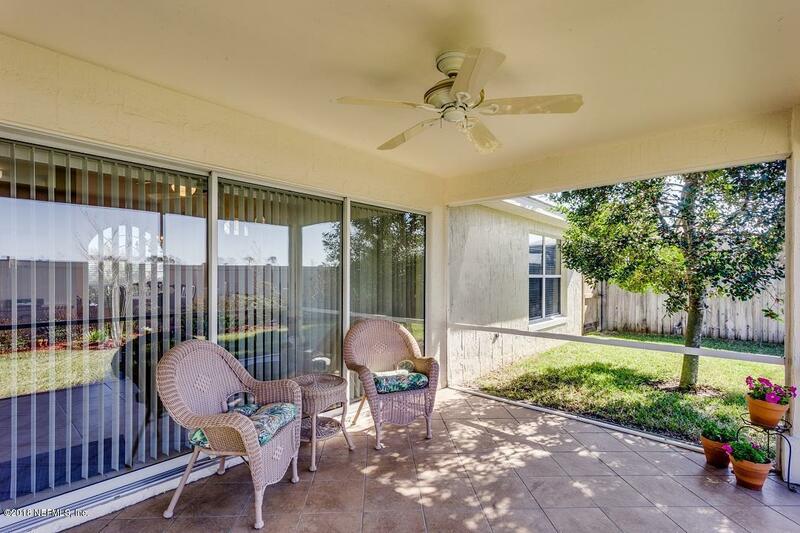 Home features an open floor plan; large living with double sliders leading to the covered, screened and tiled patio overlooking the fenced back yard. 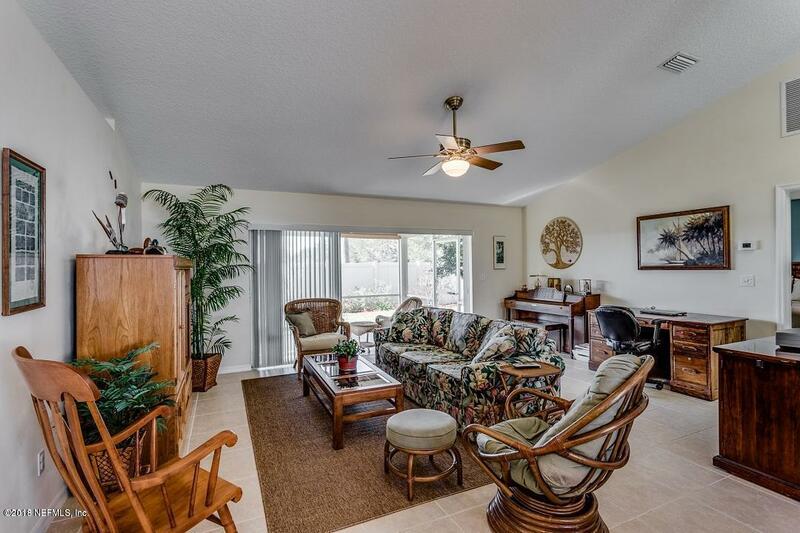 Enjoy the community pool, tennis courts, playground and basket ball courts. Low HOA fees!